With Prime Minister promising that the government will more than double its public health spending to 2.5 per cent of gross domestic product (GDP) by 2025 from 1.15 per cent at present, all eyes are on the healthcare sector. Year 2018 has been a challenging one for India’s private healthcare providers, with multiple headwinds impacting growth and profitability. The overall sector has become less attractive for investments without which growth gets hindered significantly. Even the existing players are slowing down their capex plans. However, given that more than two-thirds of the sector is driven by private operators, the government has to increase its willingness to partner with the private sector players. The ambitious PMJAY scheme (Ayushman Bharat) holds a lot of promise and has the right intent, but I do hope the government authorities take the right partnership approach to broad base participation. India’s fast-growing economy has led to a significant increase in demand for modern healthcare facilities, rise in awareness about diseases, health consciousness among people, increase in per capita income, changing lifestyle and most importantly a transition in disease profile. Now non-communicable diseases like heart disease and diabetes account for as many as 60 per cent of total deaths in the country. Diagnostics companies are the frontline to disease management and have the biggest role to play when it comes to tackling the increasing threat from non-communicable diseases that the country is facing. An effective PPP model within the wellness outreach where diagnostic test providers can participate effectively will go a long way towards the overall vision of health for all. The fact that these are preventable needs the focus and investment of the government, especially in diagnostics. It is only through better partnerships with the private industry experts that the country can achieve the vision health for all by 2022, the 75th anniversary of independence. The government should make health insurance coverage mandatory for all citizens in a phased manner initially covering the organised sector. Healthcare Infrastructure Upgradation Fund should be introduced apart from ‘National Priority’ status for healthcare sector. Starting with the organised sector, employees could be given the option of either paying their ESI contribution or purchasing insurance from any IRDA regulated insurance company. Scaling up PM-JAY to all citizens including middle and upper middle class needs to be done in the next phase. Adequate funding in the healthcare is a major concern, hence a priority sector status would push financing and funding to the sector. Underlining the importance of priority sector status, the apex industry body. It will help to channelise funds from the banking sector to create necessary healthcare infrastructure and meet societal objectives of the Government of India. Priority sector status to healthcare will help in the process of enabling development of innovative long-term financing structures for healthcare providers apart from creating an attractive environment for domestic production of medical equipment, devices and consumables while also catalysing research and development. Other recommendations include incentives to medical value tourism, zero rating GST on healthcare services and health insurance premiums, incentivising capacity building, promotional policies for private providers, and exemption of custom duty on medical cyclotron among others. These are long standing suggestions from the industry and are critical to expedite investment in capacity building especially in Tier 2 and 3 cities, which will go a long way in ensuring that the dream of Universal Healthcare is translated into reality for the citizens of the country. This year, I expect the government to introduce measures in order to improve the quality of healthcare and make it more affordable. For example, introduction of Artificial Intelligence facilitating and predictive analytics for patient monitoring will add to significant financial savings and will increase the reach of healthcare in the country. Further, government should provide incentives to private hospitals by way of lower taxes and affordable insurance premiums. My other priorities are allocation of more funds for setting up new medical colleges as we are facing acute shortage of specialists. The government should also encourage to set up large number of trauma centres and primary healthcare centers specially in highways as we see rise in number of road accidents. Over the last few years, the Indian healthcare sector has begun a major overhaul in order to attain the Prime Minister’s goal of healthcare for all. Not only are the government institutions involved but corporate and private hospitals have come forward to be a part of the initiative. We expect the government to increase allocation of funds to be able to make a significant change in healthcare delivery to all sections of society. The government needs to focus on increasing the viability of various preventive and treatment programmes. Preventive health programmes can help in early diagnosis and timely treatment and will result in lowering the burden on secondary and tertiary care facilities. More doctors and healthcare staff at various levels will have to be hired to achieve the mission of Universal Healthcare. Despite introduction of health insurance schemes, overall coverage and penetration is still low. The government should focus on expanding insurance to middle class along with the lower strata of society to allow access to super speciality healthcare. We are expecting that medical insurance coverage in the country will be strengthened. Digital and other advances in technology need to be harnessed through specific budget allocations. High cost of imported medical devices are a challenge and hence, there is need to give incentives to device and medical industry which will not only encourage government’s Make in India initiative but will also reduce the monetary burden of the patients. The biggest challenge in the Indian healthcare sector is the delivery model, especially in rural India. We need to start investing in training more primary health providers and put more emphasis on delivering quality healthcare options and everyday basic medicine to those who do not have access to it due to the lack of infrastructure, medical practitioners and qualified primary healthcare attendants. We must prioritise on improving healthcare outcomes, building primary healthcare infrastructure, lowering costs via technology and addressing accessibility, approach and affordability. I also see the need for strong support on the implementation of health information technology, which has the potential to save India billions of dollars in healthcare costs each year. Increased investments, incentives and tax benefits on primary care infrastructure and technology is important for scale in India. Budget should support expansion on digital healthcare, data flow and invest in new data-driven tools and policies that reward improving the quality and value of care. Doctors, hospitals and entrepreneurs are demonstrating that start-ups in healthcare can bring smarter, better, more accessible and more proactive care; showcasing the best way to improve quality and control healthcare costs. As a country, we need to substantially increase our healthcare budgets. Our per person average healthcare spend is $ 85 which is amongst the lowest if compared to other countries. Ayushman Bharat is a positive step towards Universal Healthcare in India but it needs to accommodate tertiary care in its scheme of things. Under the scheme currently, tertiary healthcare service providers will be forced to cut cost at every level to cater to Ayushman patients and the outcome might be affected. World-class quality care can be extended by private hospitals uniformly all across to patients and we need the government to extend all-round support to private entities in order to achieve this. 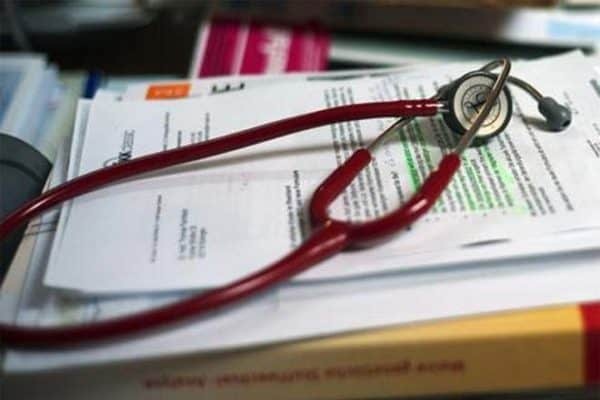 The upcoming budget should reflect a break-up of the benefits Ayushman Bharat extends to private entities as currently there are multiple restrictions to extend quality treatment to an Ayushman patient. The healthcare sector needs privatisation where implementation should be undertaken by private service providers to ensure that uniformity in quality healthcare is maintained. If the government plays a role of a monitoring agency, we will fare much better to deliver value based healthcare. Healthcare service providers should be mandated to publish outcomes to demonstrate the essence of quality and world-class healthcare. It would also help us shape the future of healthcare system and deliver value based healthcare to patients. Cancer can be defeated only when there is a change in behavior. Government should levy heavy taxes on components like cigarettes and other sources of tobacco consumption and strike a strategy to help farmers with alternate model of beneficial agricultural practices. Taxpayers money should be utilised efficiently towards key agendas in the country like subsidising farmer loans. Government needs to make such efforts to develop the community right from the grassroots. The concept of ‘Make in India’ by the government was a much admired initiative, but now they should also initiate ‘Make in India and Use in India’ a must effort too. Some positive steps have been undertaken to make healthcare more affordable and equitable such as price controls on medical devices and adjustments to import duty structures on raw materials and equipment. However, granting infrastructure status, providing backward area benefits, tax incentives, and subsidies are needed to increase investments, especially in tier 3 regions as well as rural, backward and remote areas. Under the GST regime, healthcare services should continue to be exempt from taxes. Compared to developed nation, digital healthcare is the need of time in India. So, to make healthcare more affordable, high taxes levied on inputs such as consumables as well as on medical equipment (in the range of 12-18 per cent) need to be reduced. The government needs to address India’s 70 per cent to 90 per cent import dependence on medical devices for making India a global manufacturing hub of medical devices. • Reasonable tariff protection for enabling Make in India: To promote domestic medical device industry that will subsequently reduce India’s heavy reliance on import the current basic import tariff of 0-7.5 per cent needs to be over 15 per cent for medical devices (the bound rate under WTO is 40 per cent duty) and concessional duty on raw material may be retained at 2.5 per cent for now, for the next three years. • Level the playing field for domestic manufacturers: If the government can boost manufacturing of mobile phone and consumer electronics by levying 15 per cent to 20 per cent duty and for automotive, bicycles and motorcycles, we request for medical devices, which is even more important similar tariff protection clauses. 2018 was the year of big promises, with the Indian government announcing the world’s largest government-funded health care programme. The ban on e-pharmacies and creation of angel tax ensured that startups in the healthcare space were right in the centre of national deliberations and debates last year. For the upcoming 2019-2020 budget, I hope there is a focus on strengthening prehospital trauma care, by investing in more accident trauma centres and rescue teams across India. A vehicular accident is reported every two minutes and a death every eight minutes on Indian roads. Given that India accounts for one-fifth of global deaths due to road accidents, it’s pertinent that we address the issue. I urge the government to build the necessary infrastructure and set up trauma/paramedic teams along the highways to ensure that accident victims get swift medical attention within the golden hour, offering a higher chance of survival. Studies show that deaths due to trauma in India exceed those due to cancer and heart diseases combined. The recently approved Allied Healthcare Professionals Bill 2018 is a step in the right direction. Regulating and standardising the education, training and services of allied healthcare professionals is critical, especially in the case of emergency care. I hope that the 2019-2020 budget will take this journey forward. In this budget the government should continue the focus on healthcare and invest substantially in upgrading primary and secondary health tiers in the country. This upgrade can leverage the indigenous medical technologies developed specifically for Indian healthcare needs, and thereby support the Make in India initiative. I hope the budget also provides a comprehensive resolution to the Angel tax issue being faced by startups, especially ones based on generating intellectual property like medical technology startups. Raising capital for startups working on affordable healthcare is already difficult- it is made more so by this Angel tax, which is effectively a tax on Indian innovation. NCDs are expected to comprise more than 75 per cent of country’s disease by 2025. Early diagnosis and timely treatment of NCDs through preventive healthcare can be helpful in reducing the burden on the OOP expenses and overall economic growth of the country. I strongly recommend the limit of ₹ 5000 on preventive health checkup under section 80D should be increased to ₹ 10000 per person annually, or a separate section to be created for wellness for tax reimbursement so that prevention gets its due credit. Additionally, personal genetic tests should also be included specifically in ‘healthcare’ definition for GST under exemption notification act. Technologically advanced prevention tools like genetic testing can contribute in personalising the health and wellness aspects for an individual thereby reducing the curative costs. Moreover, specific tax benefits for preventive healthcare should be given to corporates on per employee basis, so that they are motivated to invest in their employees’ health and wellbeing. The forthcoming budget is being eagerly awaited by the medical devices space as expectations are pegged on shaping the industry to be globally sustaining. The key area that needs specific consideration is the inverse duty structure. The import of finished medical devices attract a custom duty of zero per cent to 20 per cent while import of raw materials to manufacture attracts 20 per cent to 30 per cent of customer duty. This adds further strain on making domestically made devices commercially viable. Hence in this regard, we hope that the budget will look into the custom duty on medical devices which is being considered to increase by 15 per cent to 20 per cent to promote indigenous manufacturing of medical devices. With the prevalence of GST, imported devices cost lesser and hence competition with imported devices especially Chinese imports poses a looming deterrent to cater for the people of India. With India levying the lowest import duty on medical devices and duties through GST, a domestic manufacturer and imported devices have the same platform, which often puts the domestic player at a testing disadvantage and loses competitiveness to imports. Further as recommended by the Association of the Indian Medical Device Industry, we support their proposal to address India’s 70 per cent to 90 per cent import dependence on medical devices and drive the true value of make in India by equipping India as a manufacturing hub in this domain. This will provide the population of India with affordable, quality and accessible healthcare options. While the year 2018 has seen key developments with the establishment of National Medical Devices Promotion Council and Andhra Medtech Zone in Vizag for the medical device domain, there is a pressing requirement to further reform key measures to benchmark India in the global medical devices industry. With FICCI’s recent recommendation to the central government to focus on long term financing for the healthcare sector, there is a need for a rampant change in approach towards medical devices as essentials for patients in India.